Then 1.5- 2 miles easy. It was a tough early run but got it done. Ended up with 4.8 miles, avg. pace 8:53. Tuesday – Ran an easy 4.01 miles, avg. pace 9:28 and did a little core work afterwards. Wednesday – My 6 yr. old didn’t want me to run that morning. My parents suggested he run with me thinking he wouldn’t want to run but he happily wanted to go with me. So I compromised with him and said I’d run a mile with him. He did great! He said he wanted to go again. He’s run with me before so we’ll see how long this lasts. 🙂 Afterwards, I ran 5.0 miles, target pace was 8:50-9. Avg. pace was 8:49. Then easy until you reach 7 miles. Felt good and my paces came in a little faster, avg. pace was 8:49. Afterwards, I did a 10 min dvd for some core work. Friday – Ran 4.1 recovery miles and then ran with my 6 year old. He wanted to run again and I was thinking we’d just run a mile again but he surprised me when he wanted to keep going. We ran 1.5 miles together. So proud of him. 🙂 Saturday – I was actually dreading this run since I had to get up early and it’s my longest run so far this training cycle. I’m glad it went well. Maybe it was the Generation UCAN that helped. I took ~1.5 scoops before my run and then just had Nuun to hydrate in my Simple Hydration bottle. Workout was: 14 miles easy pace, with last mile around 8:35-40. Last mile ended up being a little fast. Total avg. pace was 9:07. My energy was steady throughout and I felt good. Listening to music helps me too. I used my AfterShokz wireless Bluetooth headphones. They are the best!! I don’t have to worry about ear buds falling out. They sound great and they are safer since you can still hear your surroundings. 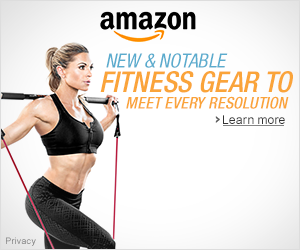 If you’re interested you can save 30% off using my link: http://mbsy.co/aftershokz/30547452. If you’re local, I have demo units that you can try before you buy. Sunday – Rest day. Total miles = 41.43 miles. CIM marathon training seems to be going great. Got all my workouts in and even got a few unexpected runs with my kiddo. Monday was solar eclipse day. I was at work but they had a Great Place to Work party where they had sun/moon snacks and handed out eclipse glasses. Besides the raisins and moon pies, there were Sun Chips, Sunny D, and Krispy Kreme donuts. We were viewing on top of a parking garage. The eclipse was cool to see. It was 99.3 percent covered. It got a little darker, to the point that the parking garage lights came on. I didn’t take pics of the eclipse but hubby sent me some he took from his iPhone. I thought they were pretty good for iPhone pics. He said he went into the manual settings of his phone, lowered the ISO and used the filter from his glasses. How’d your week go? Did you enjoy the solar eclipse? Have you tried Aftershokz headphones? Any races coming up? There’s a new Guest Host Series for the Weekly Wrap to give Holly and Tricia a break. 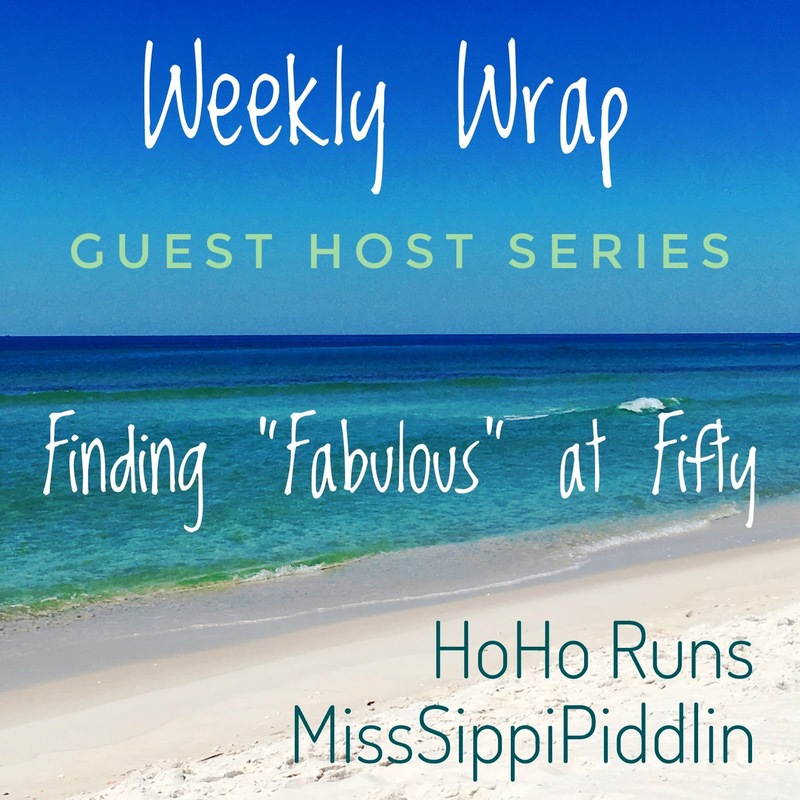 This week’s host is Teresa @ Finding Fabulous at Fifty. Be sure to check her out. I’m also linking up with Courtney, Eat Pray Run DC‘s training recap linkup. Wow! What a great week of training! Love those pics of your little one running with you. When my now 17 year old was about 8 or 9, he went running with me a few times. It was priceless and a memory I cherish always! The eclipse passed over Hawaii in the early morning hours while we were still sleeping. It wasn’t supposed to be anywhere near totality though. The pics your hubby captured are pretty cool! Thanks for linking up …have a great week! Sounds like you had a really awesome week! And it also sounds like where you work is a pretty cool place. Here we were only about 70% and I didn’t have glasses so not so much to see. And good for your little runner-in-training, too. Thanks Judy! It was nice they had treats at work. It is so much better with the glasses. I was amazed. Maybe next time . . . Your training is going great, well done with your workouts!! And your son did a great job on his runs, he’s adorable! I wish we had a better view of the eclipse but I did get to see a sliver of it through the clouds! And I LOVE the Aftershokz…don’t know how I ever lived without them, lol! Thanks Janelle! Yeah, the Aftershokz headphones rock! This workout schedule seems so perfect. However, it is strict too. I enjoyed seeing your pics. Great week of training! I totally missed the eclipse because I was at a work meeting. I’m on a racing streak….I had a 5k on the schedule for every week of August and 4 more scheduled for September. Most of them I will be pacing so I have a lot of easy miles scheduled. Thanks Sara! Wow! Have fun on your racing streak! Pacing is fun! Great week! So cool that you got to run with your son too–and look what great form he has! One year ago we were in Cannon Beach on vacation for a little road trip from Portland to Couer D’Alene Idaho then Glacier National Park then Spokane. Great trip! Thanks Jennifer! That sounds like a fun road trip! Awesome job on your workouts this week, especially your long run! It was kind of cloudy here so we didn’t really get to see too much of the eclipse, but it was still fun to be outside with coworkers during that time. Thanks Kim! I agree, it was fun to be with coworkers during that time. Nice week as always! How cool that Josh ran with you twice! Your Cannon beach pics look fun! Ha what a great idea to have moon pies for the eclipse! I can’t remember the last time I had one of those! Thanks Zenaida! Hope you get to try Aftershokz. I really love how they don’t fall out like ear buds did. That would always bother me in a race. Awesome that you got in two runs with your son! 🙂 Your training is going great – keep it up, lady!